By tying their goals to environmental legislation, industry and political groups can cloak their ulterior motives in green, he said. For example, they can either promote or harm certain industries by portraying them as either environmentally friendly or harmful. Although many environmentalists are genuinely concerned about the environment, environmentalism is used by some as a Trojan horse for political changes that have nothing to do with the environment, according to Darwall. Strong environmental regulations also require strong administrative states, or a concentration of power. Alarmism around environmental issues can goad a fearful public into relinquishing its liberties, he says. “Avoiding planetary catastrophe gives a president and the executive branch a higher dispensation than that granted by the Constitution,” he said during a talk to introduce his book at The Heritage Foundation in Washington on Nov. 28. 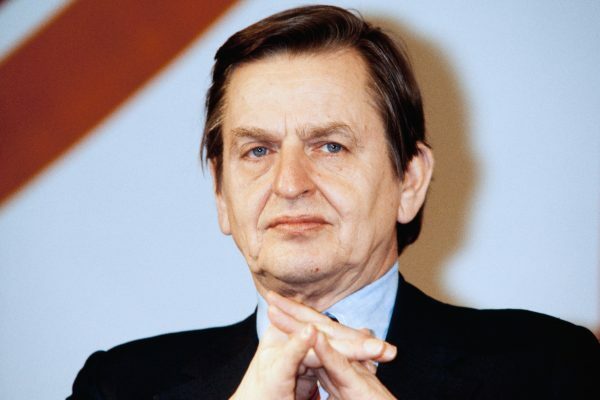 At the center of Darwall’s history is former Swedish Prime Minister Olof Palme. In the 1960s, Palme started the scare around acid rain. He had the help of meteorologist Bert Bolin, who wrote the first-ever government report on the issue. Darwall says that Palme wanted to gain support for his unpopular nuclear power program by killing coal. A scientific consensus in the years that followed asserted that acid rain caused by burning coal was devastating forests and lakes worldwide. Yet a $500 million, 10-year study commissioned by the U.S. government concluded in 1990 that acid rain was not responsible for this environmental damage and that it only had a limited effect on some high-altitude trees. This study has been essentially ignored, however, even by the U.S. Environmental Protection Agency. In the 1970s, Palme started to express concerns about climate change. He went so far as to tell a reporter in 1974 that it worried him more than any other problem in the world. But it wasn’t senseless if used by Palme to bolster his anti-coal, pro-nuclear campaign, Darwall says. Again Bolin worked with Palme; he wrote the paper “Energy and Climate” in 1975, influencing Swedish energy policy to limit fossil fuels. Bolin and Palme were instrumental in founding the Intergovernmental Panel on Climate Change (IPCC) in the 1980s. The IPCC remains central to the climate change debate today. Sweden’s apparent neutrality has made it influential in initiating global action on such issues, Darwall says. During the Cold War, the Soviets also used Stockholm to spread the fear of a nuclear winter. The political purpose for that environmental scare was to halt U.S. nuclear armament. This kind of strong administration is what would be needed to adhere to climate change solutions like the Paris Agreement, Darwall says. The free market would not cut emissions sufficiently–only heavy government involvement could do that. The U.S. Constitution’s separation of powers is at stake, he says. “The [Paris climate] agreement’s entire architecture had been designed to circumvent the Constitution’s requirement for the Senate’s advice and consent,” he wrote. When then-President Barack Obama ratified the agreement in 2016, he bypassed the Senate. Palme also said that the climate-change solutions could not be reached without socialist ideas. In general, the environmental movement has been manipulated by socialist radicals, Darwall says. The radical leftists in Germany known as the “1968ers” became instrumental in the environmental movement. “They took the left-wing concepts of the past and dressed them up in the ecological garb we see today. Instead of Marxism’s catastrophic vision of capitalism, an eco-catastrophe. Instead of the socialist utopia, a new ecological one. Instead of the cult of the factory, the cult of the forest. Instead of the color red, the color green,” Darwall said, quoting American political writer Paul Berman. The renewable energy rush started in Germany, and it proved costly and ineffective, Darwall says. The Renewable Energy Sources Act of 2000 was supposed to create green jobs in Germany, but instead it created solar panel factories in China. It was supposed to cost the equivalent of a scoop of ice cream on a monthly electricity bill, but soaring prices led to a consumer backlash. Over the course of nine years, it cost consumers $304 billion in higher bills, Darwall says. 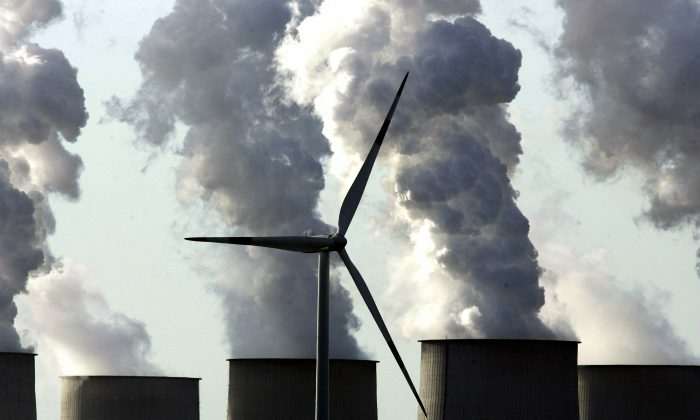 Between 1999 and 2012, German power station carbon emissions actually rose, while American power station emissions fell. That’s because the complexities of establishing a grid to handle the peaks and valleys of solar and wind power ended up driving low-emission gas plants out of business as they relied more heavily on higher-emission fuels. Germany’s renewable energy program—which did not cut emissions, had a steep price, and killed thousands of birds with its windmills—wasn’t about improving the environment, Darwall says. 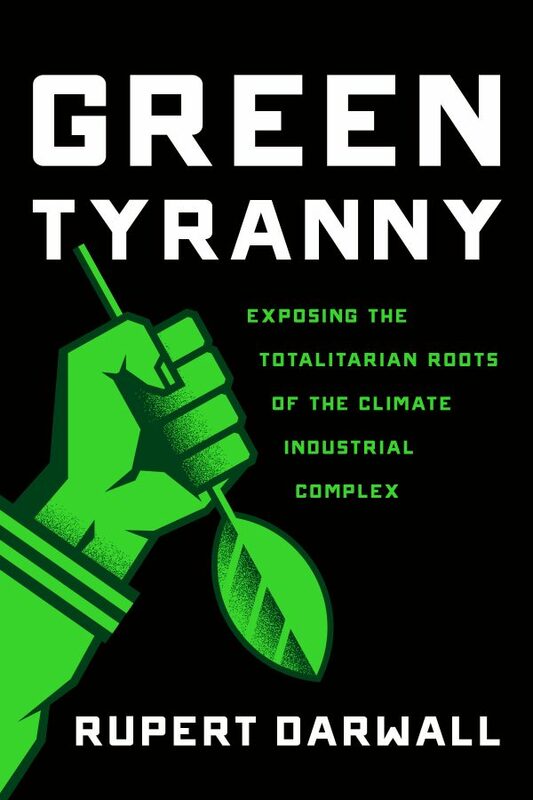 “[It] was a smokescreen for a radical green agenda and a massive transfer of wealth from consumers to green rent-seekers,” he wrote. Darwall studied economics and history at Cambridge University and held various posts in finance, including special adviser to Britain’s Chancellor of the Exchequer. He thinks the risks of climate change have been overstated, while the costs of climate change solutions have been understated. What hangs in the balance is America’s economic vitality. The United States is poised to be a hydrocarbon superpower, he says. Darwall realizes that his view is an unpopular one, at least in public. He says that many people who would privately agree with him would not express these opinions publicly because they contradict the prevailing narrative set in the media. 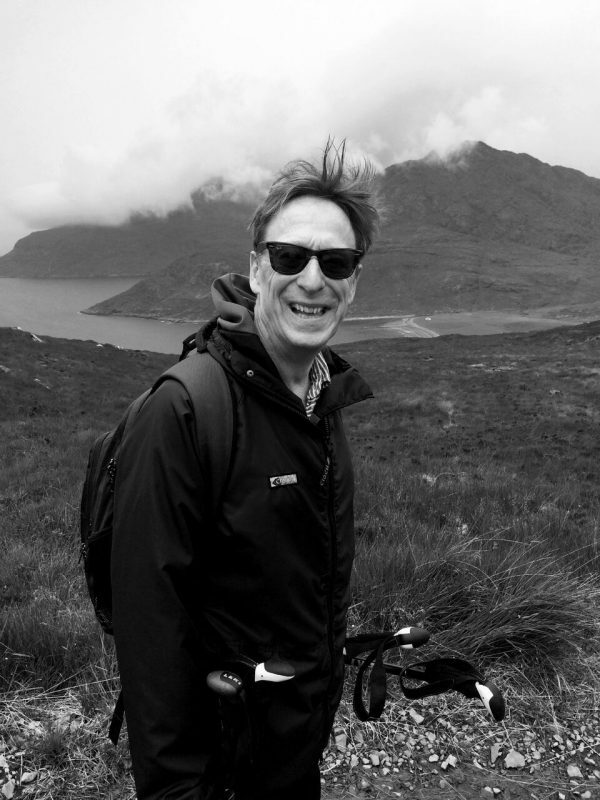 “One-sided media reporting is a striking feature of the climate and energy debate,” he wrote. This creates what’s known as a “spiral of silence.” This term describes the situation in which people are unwilling to express their opinions if others around them are unlikely to agree.